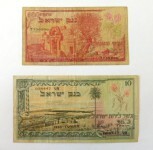 לוט 27 אסימונים "כל העולם"
Lot of 27 tokens "all the world"
Ottoman banknote, IAO 1 lira, AU cond. Lot of world coins, 2.5 kg. Silver coin, Streits Settlements IAO 50 cent, 1897, VF-XF cond. 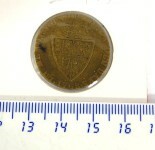 King George III of England token, 1768, "In memory of the good old days"